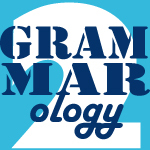 TESL Toronto would like to present one of our members, Brett Reynolds, in a regular guest blogging position as he discusses Grammarology 2.0! In this column, which will run roughly twice a month, I’ll tackle grammar questions from two viewpoints: first, traditional school grammar, as exemplified by the Oxford English Dictionary 2nd edition and grammars such as Reed and Kellogg’s Higher Lessons in English, Henry Sweet’s A new English Grammar, and their progeny; and second a more modern analysis following The Cambridge Grammar of the English Language (CGEL) and its companion A Student’s Introduction to English Grammar. This begins with the traditional definition but continues with a thoroughly modern idea of a phrase. You don’t find various types of phrases, such as verb phrase or adjective phrase, discussed in traditional grammars. There, a phrase is roughly a syntactic unit larger than a word and smaller than a clause and lacking a main verb. Of course, this conflicts with the modern idea of a verb phrase. This seemingly unconscious blending is similarly evident in the Longman Dictionary of Language Teaching and Applied Linguistics (discussed here) and TESOL’s “Grammatically Speaking” column (discussed here). On the other hand, the LINC document also includes adjective clause, a term that would have been familiar to Reed and Kellogg but is not used in the CGEL. Beyond this mix of the traditional and the modern, the LINC document includes definitions that reflect neither approach. Consider the definition of linking verbs as “verbs that express state or feeling rather than action,” (p. 335) which could do with some attention and which brings us to our inaugural question: what is a linking verb anyhow? Now online! Could you expand and give examples on the group of related worde that has no subject nor predicate? The fifth in the series looks at the present perfect vs the simple past.